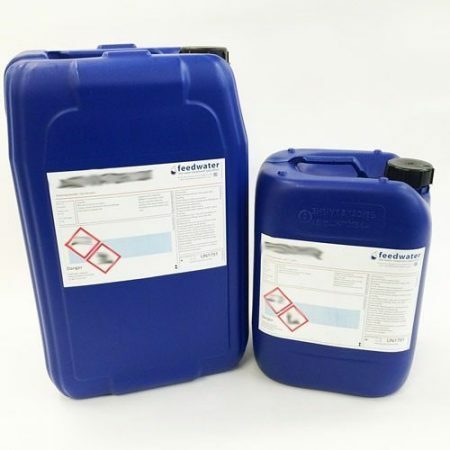 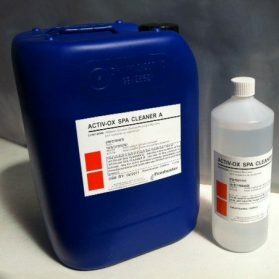 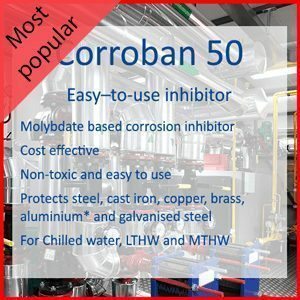 For systems which don’t contain aluminium Corroban 50 should be added to the system at an initial dosage rate of 5 – 10 litres / 1000 litres of system water content (increase to 10 – 15 litres / 1000 litres for systems containing aluminium). 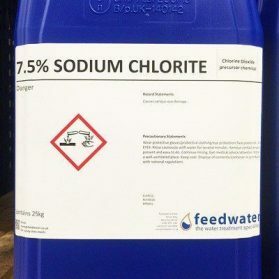 This will passivate metal and should establish the required minimum Molybdate reserve of >33mg/l. 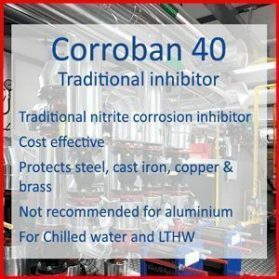 Whenever the system is drained or loses a significant quantity of water then the additional Corroban 50 should be added at the rate of 5 – 10 litres / 1000 litres of water added (increase to 10 – 15 litres / 1000 litres for systems containing aluminium). 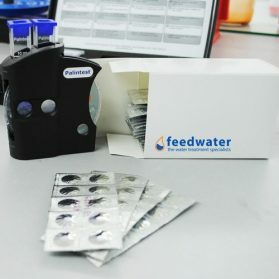 The active inhibitor reserve can be measured using a simple Molybdate closed system testkit. 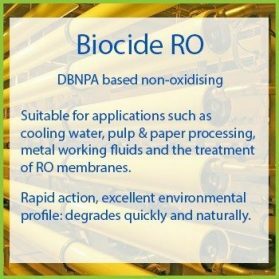 NB For systems containing aluminium it is important to maintain the system water pH in the range 7.0 – 8.0. 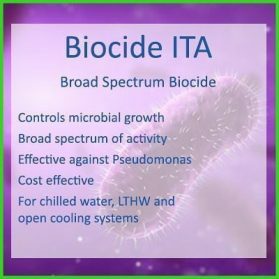 Occasionally depending on the water characteristics and system treatment history the pH may rise above pH 8.0 which means that the risk of aluminium corrosion is increased – if this happens then high pH can be reduced by adding an appropriate quantity of pH Conditioner.